In 1993, Bosnia was in the middle of a civil war and its capital, Sarajevo, under siege. No, not ‘under siege’ in the Steven Seagal sense; ‘under siege’ in the ‘no food, no water, being bombed daily’, sense. In the middle of it all, a musician called Dino Merlin somehow wrote both the country’s national anthem and its first-ever Eurovision entry. I tell his insane story in my book. But this week, with Eurovision approaching, I suddenly remembered Dino didn’t actually perform his song at Eurovision. It was a band called Fazla. So I called their lead singer to learn his story, and it turned out to be just as fascinating, bizarre and uplifting as Dino’s. Head over to the BBC to read it. And here’s this year’s Bosnian entry, which seems to be performed by a man with a plastic face. Update: As you’ll clearly know, Ukraine won this year’s Eurovision with the below slice of brilliant Russia-baiting. What was the first thing singer Jamala did when she got back home? She sung Ukraine’s national anthem, Ukraine’s not Dead Yet, of course! Read this great NY Times article on the political fall-out of her victory. 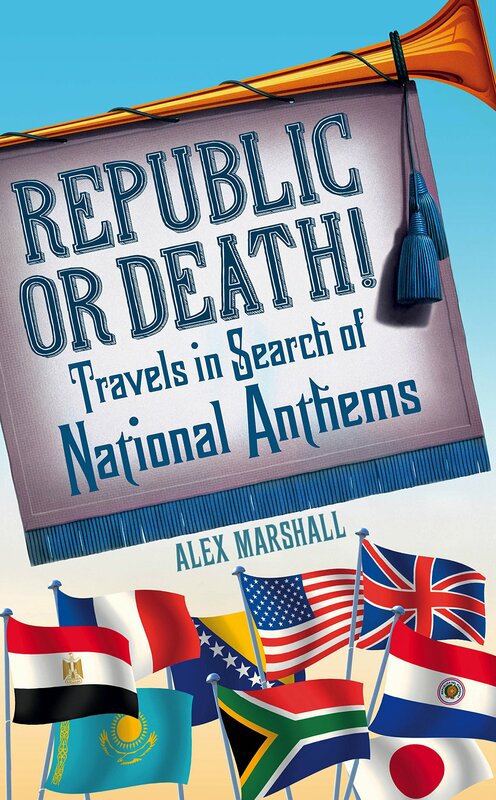 If you’re visiting here due to today’s BBC piece on plagiarised anthems, then first, buy my book! But with that out of the way, here is the music you’ve come for. Yes, they do sound remarkably similar. Is it coincidence? I clearly think so and not just for the reason of wanting to avoid a lawsuit. But could someone have heard that in a film and remembered it 20 years on? Here’s Animal House’s opening scene where the ‘anthem’ is prominent, although so is another melody someone could equally have taken for an anthem. I’ll leave you to decide what actually happened here. As the BBC piece makes clear, lots of anthems have similar problems. This is Uruguay’s followed by Donizetti’s Lucrezia Borgia. Uruguay’s is also similar to one of Beethoven’s sonatas, and the other day I heard a similarity in one of Mozart’s piano concertos, so make of that what you will. For all the other comparisons, please trawl through my book’s audio guide although I’ll happily put more up here if there’s a clamour. Yes, some anthems I did leave out (hello everyone in South Africa, Tanzania, Zambia, Namibia and Zimbabwe! ), but I had to save something for people to discover in the book. Anyway, to finish, this is South Korea’s anthem played in the style of Auld Lang Syne just because it’s fun. Update: The Daily Telegraph has also published a fun piece of mine today on the world’s strangest anthems. It features Nepal’s and Kazakhstan’s, which have chapters in the book. The stories surrounding those songs – one’s linked to a Maoist revolution, the other exemplifies the madness of a dictatorship – should really be more widely known. Enjoy! I really wanted to pick an underdog – someone who is going to get knocked out next week with just a point to their name (Hello, Iran!). Failing that, I wanted to pick Bosnia, this being the first time the country’s anthem has been heard at a World Cup – a landmark moment and one the team’s coach, Safet Sušić, found so emotional, he was still crying five minutes into the Argentina game. But instead I’ve got to go with Brazilllllllllllllll! Yes, the favourites. Yes, the hosts. I know it’s a cop out. But anyone who has seen the anthem being sung at Brazil’s games will agree. When the crowd carry on singing after the music’s stopped, finishing off the song’s first verse, it’s literally amazing. It doesn’t matter that they’re singing some of the most appalling love poetry you’ve ever come across – “You are beautiful, strong, an intrepid colossus” – it’s enough to make you want to be Brazilian. The two times I’ve heard it now, I’ve had to stop myself from grabbing a Molotov cocktail and going out to protest about bus prices. It’s even made me warm to David Luiz. That’s it’s power! Here, have an MP3 of it ripped off a dodgy Korean TV station. Yes, it is worth downloading. Here’s hoping it starts a trend. Except here in England. No one needs two verses of God Save the Queen. Tonight is Eurovision! Sweden should win, right? In tribute to the world’s greatest song contest, I thought I’d put up a few quotes from an interview I did once with Dino Merlin, Bosnia’s answer to Paul McCartney and a man who’s been to Eurovision three times. Dino stayed in Bosnia’s capital of Sarajevo during the war of the 90s, when the city was under siege. He had little electricity or water, Serb mortars were dropping on the streets, but he still got the energy to write both Bosnia’s first national anthem, Jedna si Jedina, and its first Eurovision entry. The Eurovision song was called Sva bol Svijet, All the Pain in the World, which is understandable if somewhat inappropriate for a competition that relies on glitter canons and showgirls. While chatting to Dino, I asked if he ever managed to escape the siege and he said this: “The first time I went to Eurovision, I had to run across the airport. Have you heard anything about the airport during the war? There were UN soldiers patrolling the runway and if they caught you, they’d dump you back in the city. And from the other side, from the mountain, you had snipers – Serb snipers – shooting anything they saw move. “How was Eurovision?” I asked. “We came sixteenth,” he replied deadpan, then burst into laughter. After the contest, Dino immediately returned to Sarajevo – running back across the airport – which either says he was insane at the time or really loved his country. I don’t think any of this year’s Eurovision entrants will have gone through anything like that, but feel free to make up a hideous backstory about Sweden’s Robin Stjernberg if it’ll help you vote for him! …and a poor joke about Coldplay. 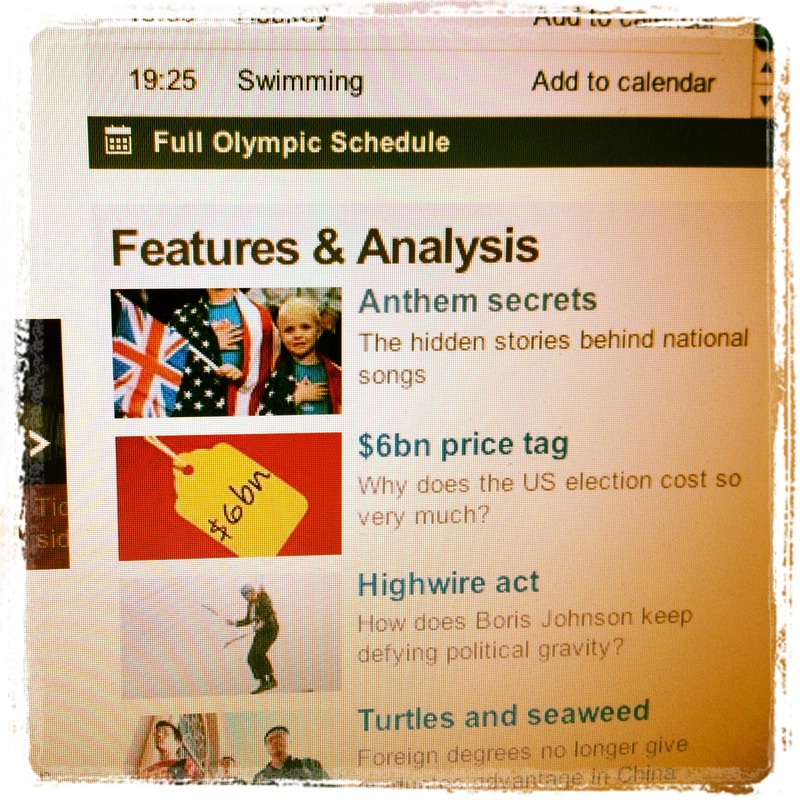 A piece I’ve done for the BBC went online today (above’s a picture of it on the front page). I’ve somehow crammed 18 countries into it. Although apologies to anyone from Oman or Zimbabwe, who I seem to insult! If you know of any secrets it doesn’t mention, please let me know.